Whether you’re visiting the dentist for a routine cleaning or a complex procedure to restore your teeth, it doesn’t help when you can’t understand what your dentist is saying. While he’s always willing to answer any questions you have, you can also save time by briefly reading up on key dental terms ahead of time, making your visit quicker and letting you continue your day without too much interruption. When you visit your dentist in Canton, it’s worth it to know these key terms. 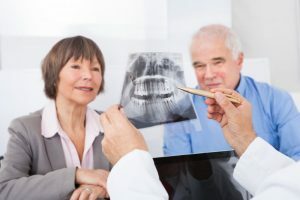 DIAGNOdent – This is a cavity detection system designed to discover early signs of tooth decay before they have a chance to develop into cavities. Your dentist will likely use this device at the start of your examination. VELscope – Through illumination technology, your dentist uses this device to catch early signs of oral cancer more easily. With oral cancer becoming an increasing issue, you’ll be glad your dentist utilizes this technology. Cosmetic Bonding – By using composite resin, your dentist can fix chips, cracks, discoloration, and other cosmetic imperfections in a single appointment. Smile Makeover – When you have multiple cosmetic issues, sometimes one type of treatment isn’t enough. If your dentist asks if you want a smile makeover, it means he thinks using a wide variety of cosmetic treatments could make a big difference for your smile. Implant – This titanium post is the actual piece that acts as the prosthetic root for your new crown. Abutment – This is the connector that helps your new crown attach to the implant itself. Crown – A dental restoration that acts as the visible addition to your smile. Implant-retained crowns are typically made of porcelain. TMJ – the shorthand term for the temporomandibular joint, which connects the jaw to the head. K7 Computerized Unit – A device designed to detect misalignment causing your jaw, neck, or head pain. Sedation Dentistry – The process of using sedatives to make patients feel relaxed, warm, and prepared to receive dental treatments. Oral Conscious Sedation – A moderate sedative administered through a pill. This is taken prior to your visit and requires a friend or family member to drive you to and from the practice before treatment. Have more questions about dental terms you may have heard but aren’t familiar with? Schedule an appointment with your cosmetic dentist in Canton today! Dr. J.D. Robinson earned his Doctor of Dental Surgery degree from the University of Michigan. He’s also trained to treat complicated jaw-joint disorders, perform advanced aesthetic reconstructions, and provide sedation dentistry. To learn more about his practice, contact him through his website.